We know your rights. 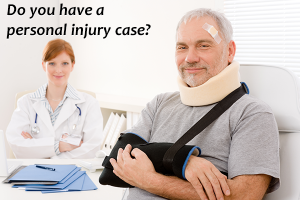 Stranahan, Stranahan & Cline are experienced in legal actions for personal injury, wrongful death and accident cases. We know your rights with regard to insurance coverage. Our goal is to provide superior personal injury representation to our clients in a prompt manner with integrity and respect. The path to recovering from physical injury or accident is challenging enough especially if it has been the result of someone else’s negligence and your insurance benefits appear to be hanging in the balance. If you have suffered a personal injury or accident as the result of someone else’s negligence or their failure to act as a responsible person would, or if you are unsatisfied with your treatment by and insurance company, the Law Office of Stranahan, Stranahan & Cline invites you to schedule a consultation with us at no charge. Only then can we begin to evaluate the merits of your case and whether or not damages can be recovered. If we feel that you have a case there is no fee to you unless we win your case. When serious injuries do occur, individuals and their families can easily be overcome with the physical, emotional, and financial stresses which nearly always occur. Individuals who suffer from personal injuries or accidents can rely on the competence, compassion, and experience of Stranahan, Stranahan & Cline. As a result of our experience in handling these matters, we have been able to help victims and their families obtain cash settlements for lost wages, medical expenses, and pain and suffering. Contact us now for a free consultation. Attorneys Stranahan and Cline are members of the multi-million dollar club, having obtained settlements and verdicts exceeding $4,000,000.